Sons are the anchors of a mother's life. How about treating her special this Mother's Day. We bet nothing could beat the overwhelming feeling a mother would have than receiving a Mother's Day gift from son. Surprise her in the most beautiful way with amazing gifts from FlowerAura. “There has never been, nor will there ever be, anything quite so special as the love between the mother and a son.” Such is the bond between the mother and a son. From saving you from your father’s scolds to making you the better person you are today, your mother has been always your greatest support system. Isn’t it? Such gem of a mother deserves your respect and love. It’s time now to reciprocate the same amount of love you have received from your mom. And, what could be better than Mother’s Day to show her your care, love, and affection for her. But, if you are wondering how will you express your love for her then, here is a good news for you. 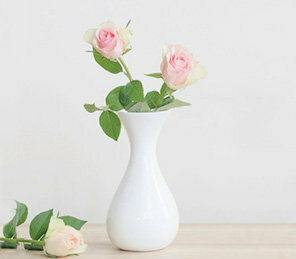 FlowerAura brings you its exclusive collection of best mother’s day gifts from son at your service. We, at FlowerAura, have a wide variety of Mother’s Day gifts that can convey your love message to your mom in the most beautiful way. All you have to do is to scroll through our collection of Mothers day gifts from son, select a meaningful gift for your mom, and place an order. Our delivery team will deliver your ordered gift to your doorstep on the same day just within a few hours of your order placement. If you are looking for a perfect and meaningful gift for your mom to give her on Mother’s Day then, your search ends here. At FlowerAura, you can get the most amazing Mother’s Day gift ideas that every mother would love to receive from her son. From aromatic flowers to assorted chocolates, delicious cakes to cuddly soft toys, customized mugs to customized cushions, best mom trophies to best mom aprons, grooming kits to statement jewelry, get every type of gift for every type of mother. Other amazing Mother’s Day gifts from son collection includes dream catchers, cosmetics, skin care kit, purses, oceanic candles, laughing Buddha, teddy bears, and many more. The best advantage that you can enjoy by choosing our online gift portal to order a Mother’s Day gift is that now you can also send a gift to your mom on Mother’s Day from anywhere in India. So, if you have been relocated to a new city, you can still bring a million dollar smile on your mom’s face by sending her an amazing Mother’s Day gift from us. Have a happy shopping experience with us.